Eight months ago, Mogadishu's bombed out parliament building was a symbol of 20-years of anarchy. Today, it is under reconstruction to house a new legislature expected to be sworn in later this year. The strategic K-4 intersection has been called the key to controlling the city. 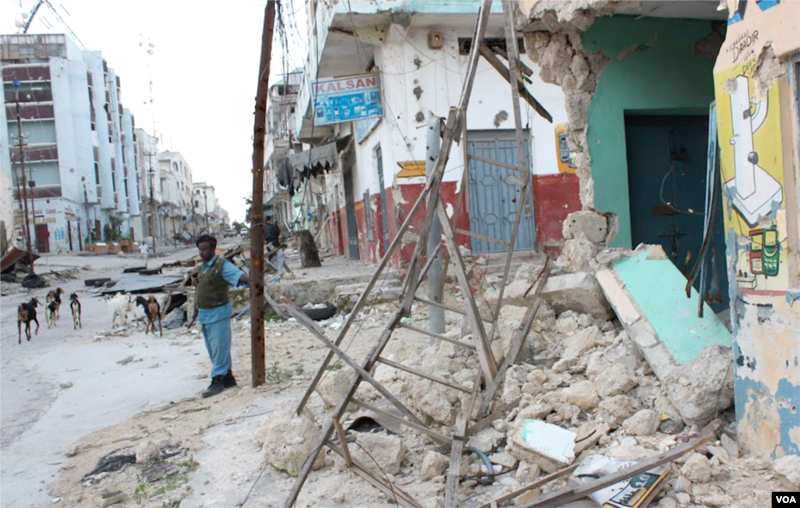 The concrete plinth at the center of K-4 was bullet riddled and bare after years of al-Shabab rule. Today it sports a fresh coat of paint and the five-pointed Somali star of unity. 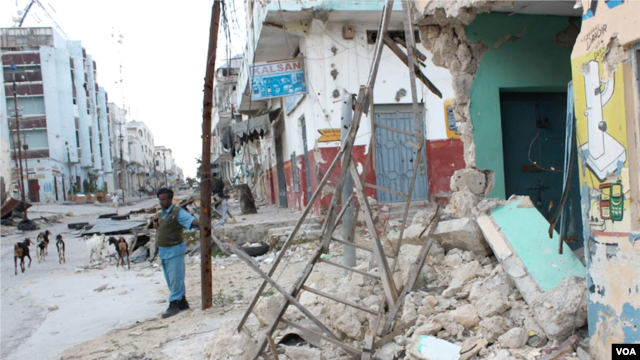 Bakara Market, Mogadishu's commercial center lay in ruins last August after African Union troops broke years of al-Shabab dominance in weeks of block-by-block combat. Today it is once again a bustling hub, providing jobs for enterprising workers who are busy putting the market back together. And something not seen in years, diplomatic missions. Turkey has become the first to open a new embassy in the capital. Some United Nations agencies are back, too. It will take years to restore Mogadishu's pre-war grandeur, but people on the streets say the comeback has begun.